Dubai of the UAE is unrelenting in its pursuit of the wow factor. So, location plays a big part when you visit. 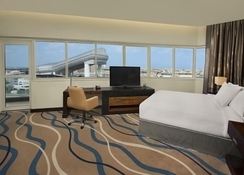 The 4-star DoubleTree by Hilton Hotel & Residences Al Barsha is right opposite the Mall of the Emirates. We rest our case! 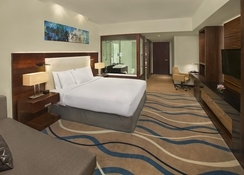 DoubleTree by Hilton Hotel & Residences Al Barsha courts style and sophistication. You be the Judge. Local attractions include: Mall of the Emirates, featuring an indoor ski dome; Burj Khalifa; The Dubai Marina and JBR Walk; Dubai Fountains; Dubai Aquarium & Underwater Zoo. A free shuttle is available to Mall of the Emirates and Jumeirah Public Beach. Please note a local charge will be collected from the client upon check in with a maximum of DRHMS 20.00 per room per night. Foodies, lick your lips in anticipation: world cuisine and local specialties follow-on from a signature breakfast; live cooking stations, themed dinners and continental lunches – hey you're on holiday! The Tikka Café adds spice with Balti-style cuisine and open show kitchen. Light snacks, pastries, cakes and specialty teas & coffees are yummy treats in the lobby lounge. 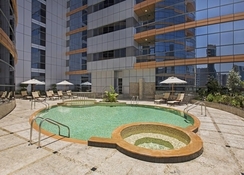 Stay cool and refreshed in the outdoor pool and keep toned with a workout in the 24-hour fitness centre. Now you're ready for action: sightseeing & cultural visits (don't miss the Old Town), high-end shopping, great dining, lively nightlife, water parks and sports. For the period of 01st July 15 to 30th Sept 15. 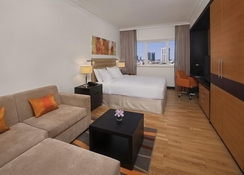 Each of the rooms on offer are spacious and well decorated in a modern style. 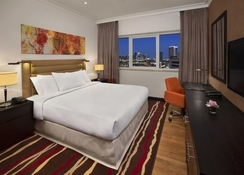 They come equipped with a balcony, climate control, minibar, private bathroom, hairdryer, desk, blackout curtains, air-conditioning, Wi-Fi, phone, coffee and tea making facilities, in-room safe and LCD TV. 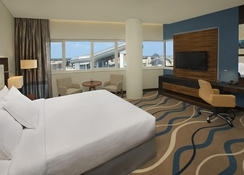 The DoubleTree by Hilton Hotel & Residences Dubai - Al Barsha is located in Al-Barsha. This is a small community of hotels and other residences bordering the Emirates hill and Al Sufouh. The area is also proximal to the Dubai internet city and the Dubai Marina, both fascinating sights and well worth a visit. 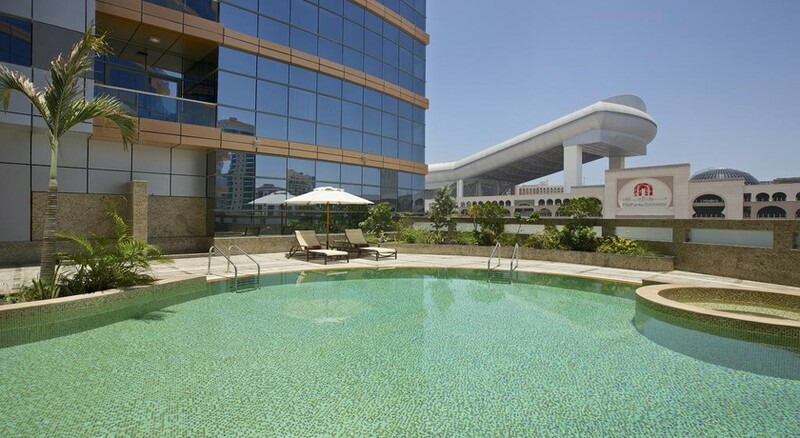 The hotel is also just a 5-minute walk from the Mall of the Emirates Metro Station for guests seeking to explore the surrounding area.